EDraw Max - download in one click. Virus free. 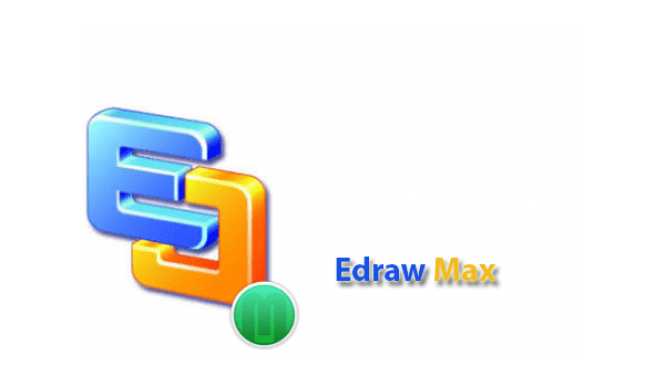 EDraw Max is available for download without registration. It comes with a safe official web installer for EDraw Max. EDraw Max is a simple, yet effective program for creating diagrams and charts for the purposes of making informative presentations and statistics. The basic functionality of the program includes presenting the user with a default catalogue of pre-existing templates and chart forms that can be used and personalized. The main interface immediately offers access to the list of available templates sorted by type with descriptive type names. There are small previews for the shapes a diagram of a chart will take if selected. For the units of measurement used with the numbers in a chart, there's an option to select the kind: US units, metric units of your own custom units. 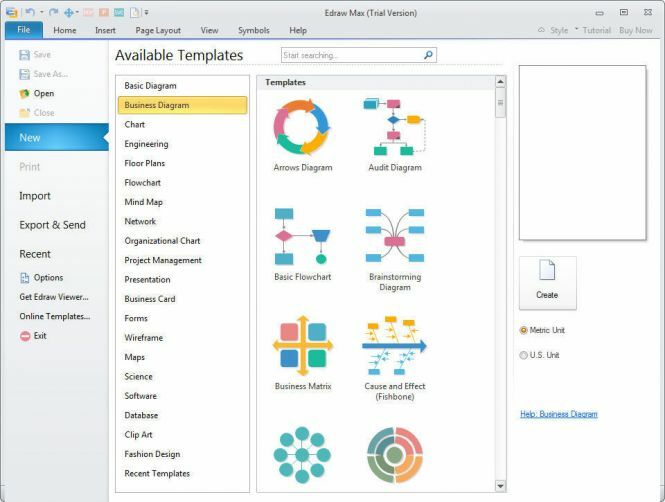 Personalization and adjustment of selected templates if easy and detailed: substituting the default data of the chart adjusts its proportions accordingly, eliminating the need for small annoying adjustments; you can also modify the proportions of the categories, as well as their names, colours, etc. This way, you are capable of creating unique-looking and distinct materials to present to the audience. 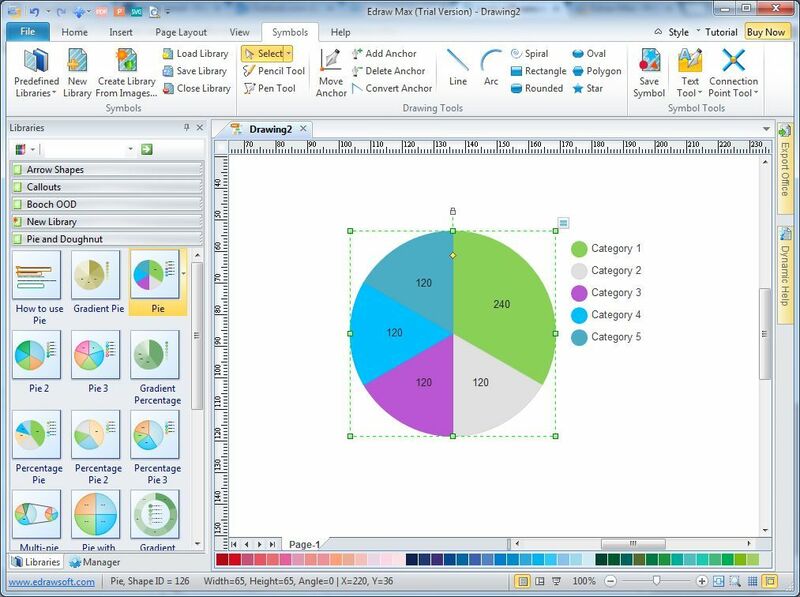 EDraw Max is a tool that you want if you need to present data quickly and effectively.